Do You Have Symptoms of Nasal Obstruction? If you recognize yourself in this list, you are among millions1 who suffer from a condition called Nasal Airway Obstruction. You know just how annoying it is to struggle to get air when you want to participate in an event. And you know how difficulty breathing can interfere with a good night’s sleep and leave you sluggish the next day. Being unable to inhale at complete capacity can leave you fatigued and frustrated. The Septum is the narrow ridge of bone and tissue between the two nostrils. The Turbinates are finger shaped tissues that direct and warm air as it enters the nasal cavity. The Lateral Wall is the tissue and cartilage that forms the outer wall of the nose. Any enlargement of any of these three structures decreases the overall area in the nasal airway and reduces your ability to take air in through the nose. 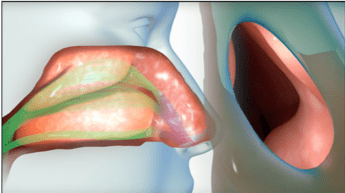 What Treatment is Available for Nasal Obstruction? The nasal valve area, the most common site of nasal obstruction, accounts for over two thirds of total nasal resistance. 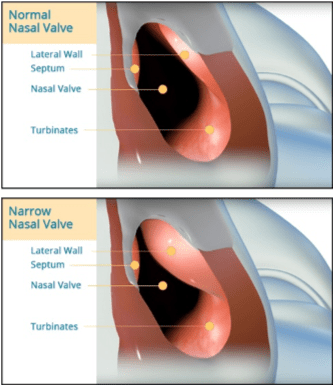 Changes to the valve area result in large improvements to airflow and nasal breathing. VIVAER® can offer you the ability to breathe better, sleep better, and enjoy more of life. Are you a Candidate for VIVAER®? 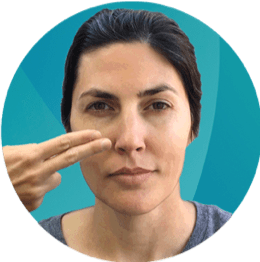 Perform this simple test for assessing nasal obstruction/congestion to find out if you could benefit from Nasal Airway Remodeling. VIVAER® can help you breathe easier! Contact us today to schedule an evaluation for this advanced treatment for Nasal Valve Obstruction.